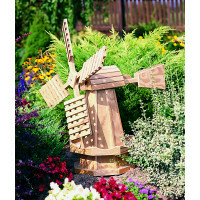 Pine Ridge Online is pleased to offer a vast selection of custom handcrafted garden windmills for sale. 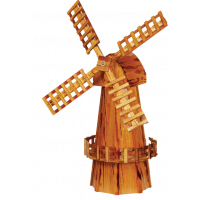 Made in the USA by our Amish friends, each garden windmill is custom crafted from the finest materials. We offer many sizes in both wood or polywood. Choose either varnished, pressure treated pine or polywood. You are sure to get many compliments on this beautiful addition to your lawn or garden. 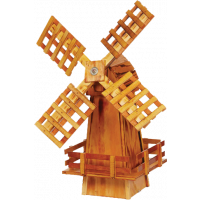 Our Varnished Wooden Windmills are handcrafted from a durable exterior plywood with two coats of polyurethane. They are built to endure all types of weather conditions and are a great way to beautify your lawn or garden. 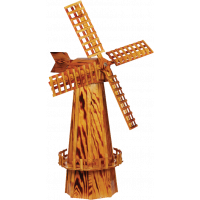 Our Pressure Treated Pine Dutch Windmills are handcrafted with select grade, kiln-dried yellow pine. Lumber is air-dried for five to six months to eliminate shrinkage, warping, and checking. Lumber is hand-selected for maximum structural strength and beauty. They are built to last in all types of weather conditions and will add long lasting curb appeal to your lawn or garden. 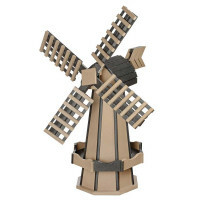 Our Polywood Windmills are built to last a lifetime! This maintenance-free product will not splinter, crack or fade and needs no painting. 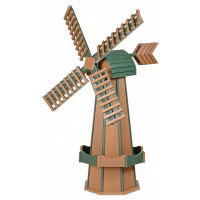 It is environmentally friendly and made from recycled material. 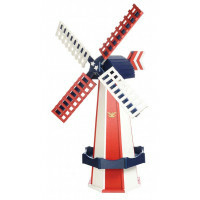 Choose from 21 custom colors to create the garden windmill of your dreams.